Green Leaf Lawn Service offers professional lighting services for any occasion year-round. From traditional Christmas lights to Tulsa holiday lighting installation, no one does it better. We can save you valuable time and energy and hours of frustration climbing up and down those pesky ladders this holiday season. Why don’t you take a load off and sit by the fire with your family while the expert Tulsa Holiday Lights specialists at Green Leaf Lawn do the work for you. We pride ourselves in giving the customers of Tulsa grade a service when it comes to all of their holiday lighting decor needs. Pick up the phone and call us today for a free quote and consultation at 918-640-6405. You can also visit us online 24 hours a day, seven days a week, 365 days a year, 10 years in a decade, at www.greenleafweedcontrol.com. 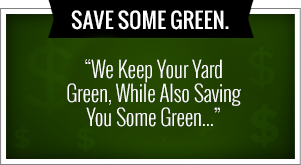 Be sure and get your free service quote by shopping with a responsible company like Green Leaf. 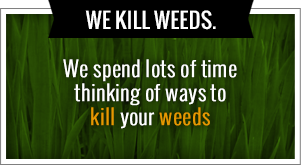 Our numbers 918-640-6405, and you can also find us online at www.greenleafweedcontrol.com. We are a responsible company that believes in providing expert service to the people and homes of Tulsa, Oklahoma. We also have a wide variety of services available to the people of Tulsa throughout the year including lawn care in the summer and so much more. If you want to work with a responsible company that gives back to the community, you’ve come to the right place. We have a program called “Cutting for the Kids” where we give back a total of five dollars per new service to the school district of our customers choosing. It’s a great way for us to give back to the community while beautifying the city of Tulsa. To learn more about our program contact Jamie Nix and Josh Mathias, the founders of Green Leaf Lawn Service. They would be more than happy to answer all of your questions and give you the peace of mind of knowing you’re working with a responsible company. It’s that time of year again, the holidays are fast approaching and a time filled with family, friends, food and fun is upon us. If you’re like us you just can’t get enough of the sparkling lights gracing the Christmas trees and the homes in the Tulsa area. If you want your house to glow like a Christmas tree you could certainly drag all the lights from the basement, try for hours to untangle them, and then try to drape them around your eaves without landing in your shrubbery. It’s a precarious task that can be dangerous if you are careful enough. By using the expert professionals at Tulsa Holiday Lighting Installation here at Green Leaf Lawn, you can avoid all of the mass and struggle that’s associated with hanging lights in the holiday season. We would love to be your Tulsa Holiday Lights choice when ever your home needs to look beautiful and shine through the night. If you dream up an idea, we can implement. We create the lighting design that perfectly complements your home. Will also drape your trees and landscape to really test things up in a beautiful manner. Green Leaf Lawn has professional installers that will take over and safely in your life so you don’t have to. We will also make sure that the lights are securely fastened and won’t be coming down in the wind, snow, or rain. And if they do happen to become unattached at any point in the holiday season, we will be back on the job and fix them promptly. We only use the best and we can be counted on to always light up your home with holiday cheer. The best part of our services might not even come into play until after the holiday season. When January rolls around and it’s time to take all the lights down and stow them away so they can be used at a later date, the expert Tulsa Holiday Lights specialists at Green Leaf Lawn are also going to be the exact same people removing the lights and storing them. Once those post holiday blues kick in, don’t worry because we are going to take care of the job for you. You won’t have to be up on the house on the latter putting yourself at risk whenever you get the experts a call to do the job for you. In addition to our holiday services, we also have over 10 years of professional experience when it comes to providing professional lawn care service to the people of Tulsa. Some of our services include weed control and fertilization, weekly lawn maintenance, flower bed maintenance, hedge trimming in shaping, sod installation, leaf removal, small tree removal and planting, small shrub removal and planting, spring cleanup since scalping, and fertilizing that starts at just $35. Free estimates and references can be provided upon request, and we promise to always take care of your lawn the matter what time of the year it is. Whether you need the lawn to be raked of leaves, shoveled from snow, or aerated to provide nutrients to your grass, we do it all and so much more.